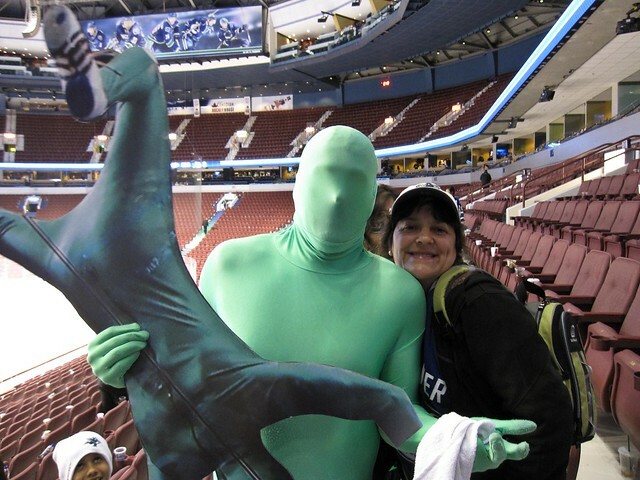 For Vancouver Canucks hockey fans, nothing beats playoff time, especially when there’s a colourful entertainment element thrown in for extra goofiness. The Green Men have made hockey fun and taken some of the stress off of every game that’s a must-win-game, which is basically every game leading up to and including the playoffs. 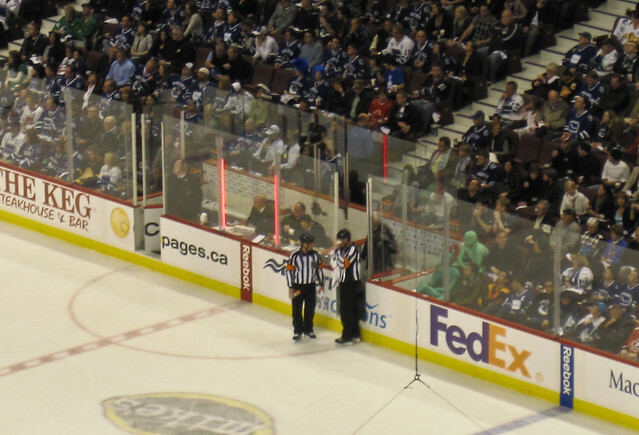 Up until now, things have been going well for the duo, but lately there’s been NHL complaints against them, stating that The Green Men are not to touch the glass while the visiting team’s got their men in the penalty box. 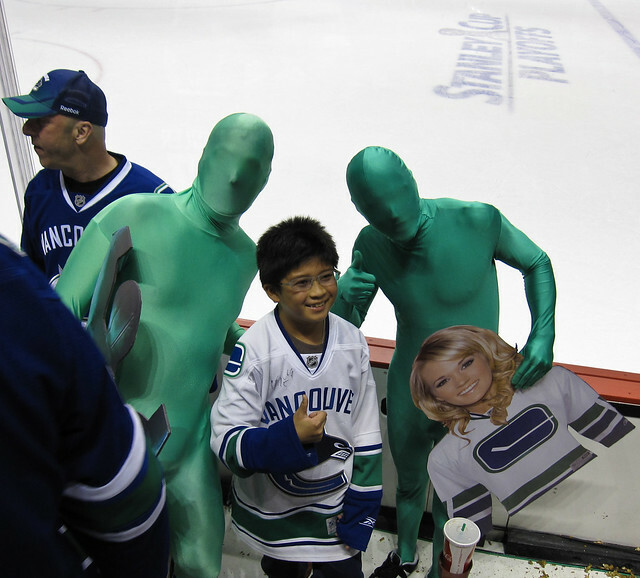 A pre-game rally in support of The Green Men was held outside Rogers Arena on Saturday. Personally, I’ve heard louder glass-pounding on TV by fans who just can’t get enough of being that close to the ice. 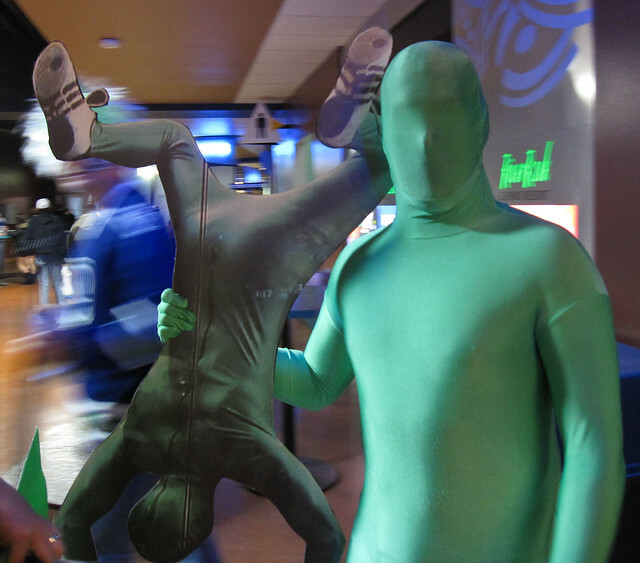 I was lucky enough to catch the Green Men (Force and Sully) at Saturday night’s game 5 against the Nashville Predators. They’ve really gotten a lot of support through this scandal. 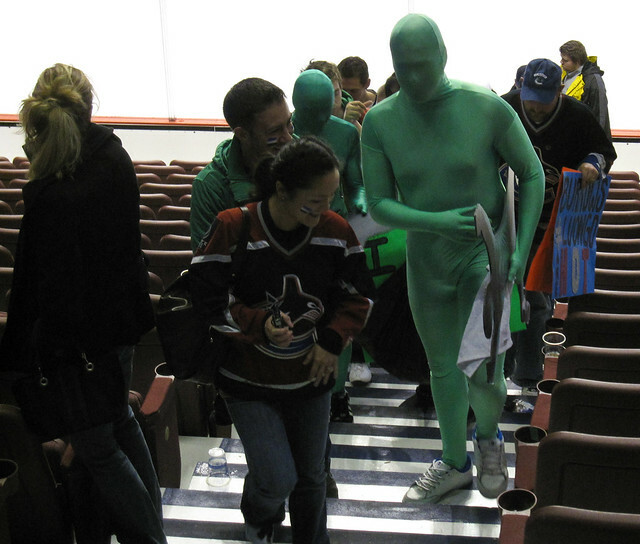 Not surprisingly, the Green Men were approached by many fans wanting photos taken with them after the game. The Green Men have both a Facebook fan page (that’s currently liked by over 100,000 people!) and a recently-launched Save the Green Men website.